We welcome group bookings, however, if you would like to bring a group along to any of our concerts, please get in touch with our Director of Music, John Barker - barkerj@leicestergrammar.org.uk to discuss your requirements. Tickets for under 18s are free. However, if you would like to make a donation to support our Music in the Community Programme, please select the £3, £5 or £10 options on Ticketsource or let the Music Administrator know at the time of booking. The programme this year will include Fauré’s Requiem, Beethoven’s First Symphony and massed choir performances of Bohemian Rhapsody and the Circle of Life involving LGS’s Lower School Singers and Mixed Voices. This year, the band is very pleased to support the Mayor of Oadby and Wigston’s chosen charity, the Alzheimer’s Society. As ever, the programme for this popular concert will be a nostalgic and foot-tapping extravaganza. 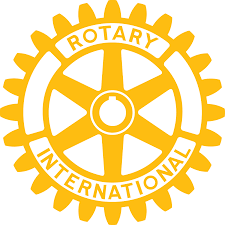 The LGS Symphonic Wind Band, Brass Band and Concert Band will perform to raise money for the Rotary Club’s nominated charities, which this year are the RNLI, Rotary Foundation and other local charities. Tickets may be purchased online (card payment, small booking fee applies) or via our school Music Office (payment by cheque or cash). Please make cheques payable to Leicester Grammar School and complete a separate cheque for each concert that you wish to attend.